Doctor StrangeÂ made his first live appearance on the movie screen with big success, racking in $496.7 worldwide. The movie is a modern day version from the original comic book timeline. With a few story changes and excellent computer graphics, this movie brought reminiscent of the filmsÂ Inception and The Matrix. ActorÂ Benedict Â CumberbatchÂ was chosen to play the Sorcerer Supreme. How well do you think Benedict played his role? Dr. Strange is similar to Dr. Fate of DC Comics. Their roles normally consist in aiding their world heroes against enemies from supernatural dimensions. The film Dr. 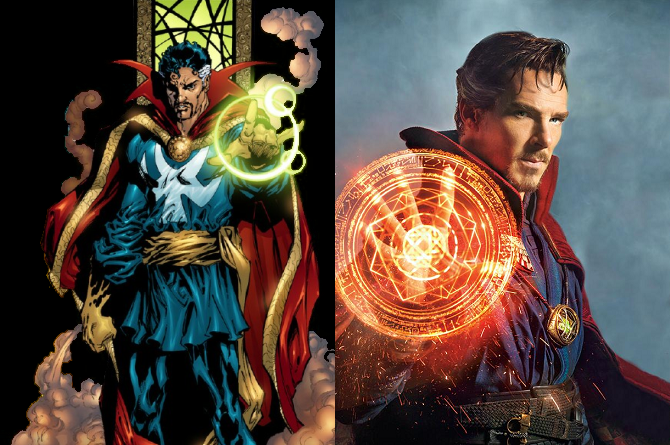 Strange has come apart of the path leading toÂ Infinity War movies. In the comics, Dr. Strange is among the major players inÂ the war against Thanos. Thor made his cameo in the mid credits of the film, aligning himself with Strange to help find his father with the aid of his scheming brother Loki. This could be a hint that Strange maybe a possible cameo in the upcoming Thor: Ragnarok. If so, how will Dr. Strange be utilized? Do you think Dr. Strange is ready to take on the forces of Loki? Robert Downey Jr. Joins Rachel McAdams & Tilda Swinton at ‘Doctor Strange’ Premiere in LA!